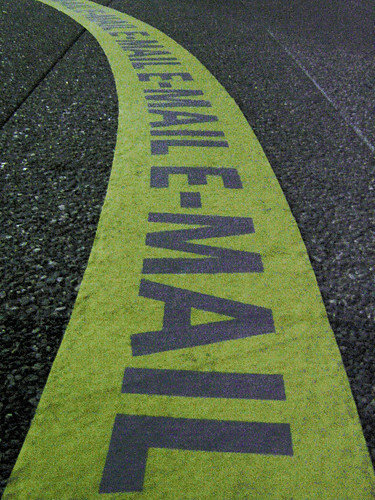 The Direct Marketing Association (DMA) has just released its latest National Email Benchmarking Report for Q2 2009. The quarterly benchmark always makes for interesting reading, so we’ve cast our eyes over the latest installment to bring you the key observations. Perhaps most telling is email marketing’s transition from the ‘teenager’ of the marketing mix to the accountable and ROI infused workhorse, perhaps in part due to the recession. This was seen through a bigger focus on strategy rather than tactical sending. Despite a heavier reliance on email marketing, the number of sends dipped during the recession as budgets tightened. But email marketing is still showing strong signs of recovery and in Q2 2009, hit an all time high of 60 million emails sent per ESP (email service provider). The report also highlights the impact of Social Media on email marketing, suggesting that recipients are expecting more authenticity, reciprocity and value from their messages. The most telling sign of the importance of Social Media though is the realisation that “share with your network” (SWYN) – a feature that dotMailer was the first to implement – is more effective than “forward to a friend” for improving reach and response of email campaigns; which is why the dotMailer team is expecting SWYN to be big this year. The continued rise of email via smart phone has also caused a stir, although confusion remains over what the accepted standards are for the right format and getting the right landing pages for a variety of mobile devices. Finally, the popularity of acquisition emails seems to be on the rise, taking up a third of emails sent, despite their poorer response rates and the recession. However, delivery rates for acquisition emails have dropped 6% year on year, down to 83%. Unique opens have also dropped by almost a half to 12% and unique click-throughs dropped by 60% down to 5%. This expansion into acquisition campaigns means marketers have had to use less targeted and lower-response lists, which is likely to be knocking overall results. The reports suggests that “burnt fingers syndrome might be contributing to the cyclical nature of investment in these campaigns” as marketers must find the sweet spot at which to stop investing in acquisition. Unique open rates for retention remained steady at 23%.